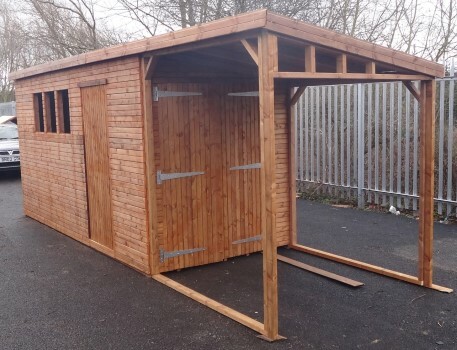 Tanalised 38x50mm framework improves strength and rigity throughout shed. 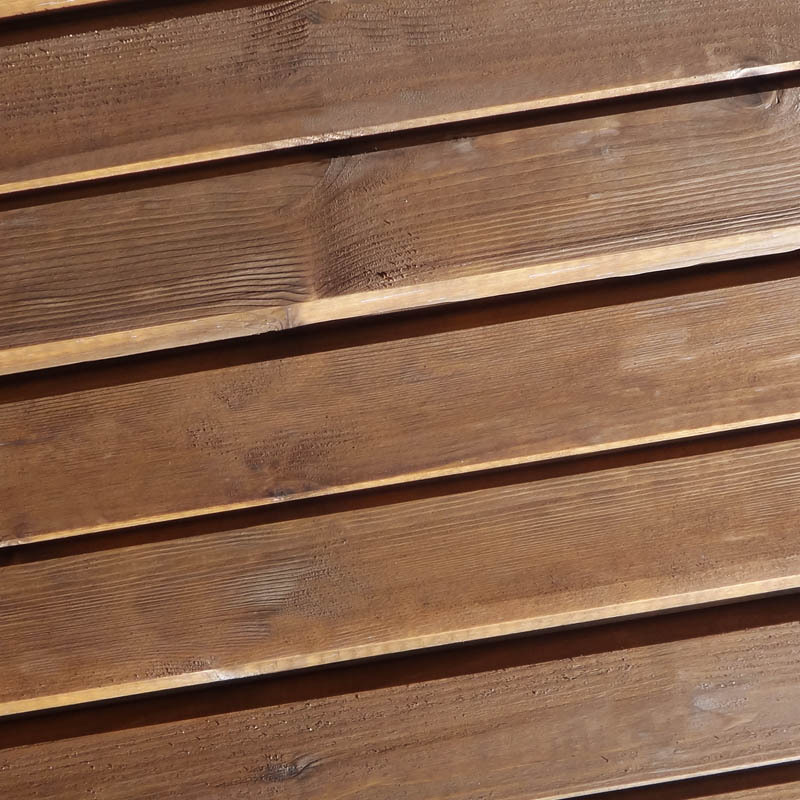 16mm (planed to 12mm finish) specially designed rebated cladding. Protected against mold and fungal damage. 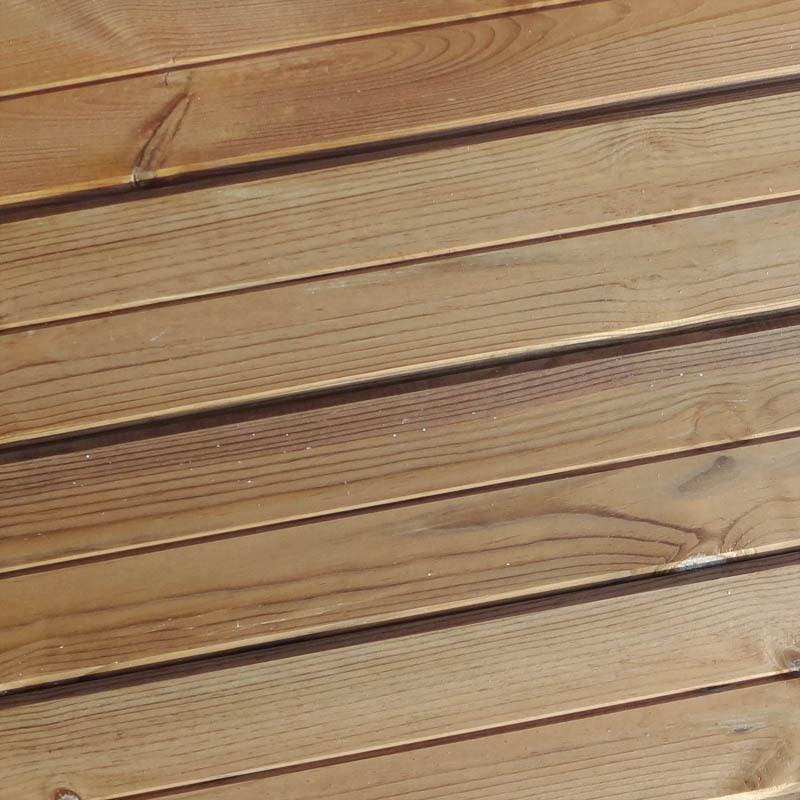 100% of wood tanalised (pressure treated + rot-resistant). 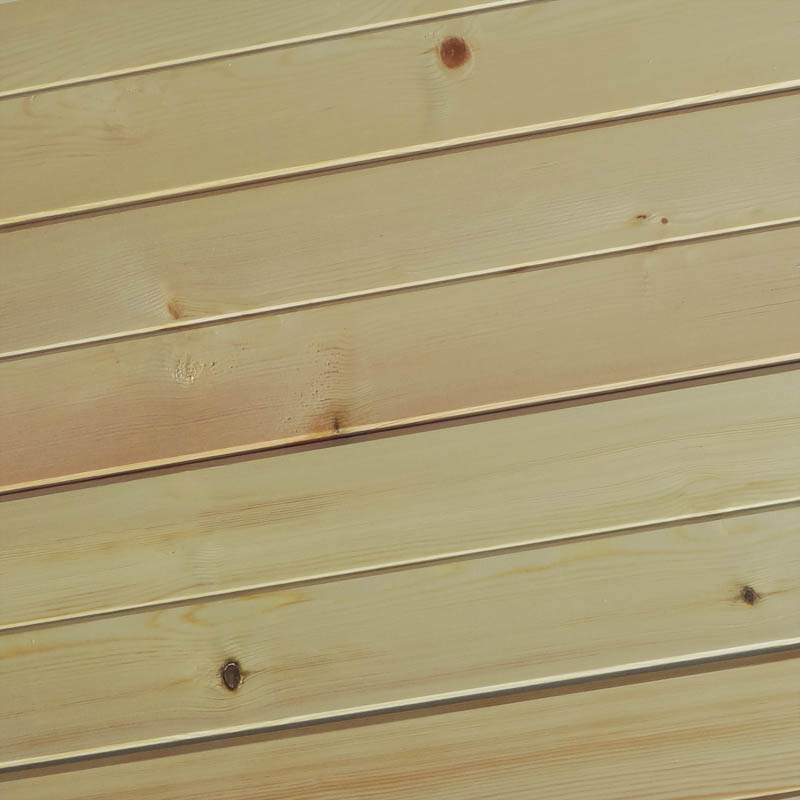 Tanalised 16mm (planed to 12mm finish) specially designed rebated cladding. Ideal for general rot-resistant use & storage, where re-treatment may be difficult. 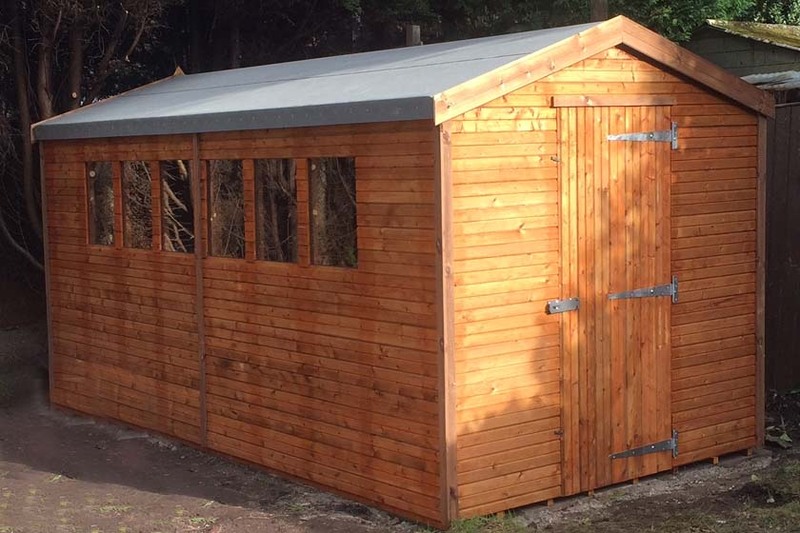 Ideal for heavy duty rot-resistant use & storage, workshops and offices! 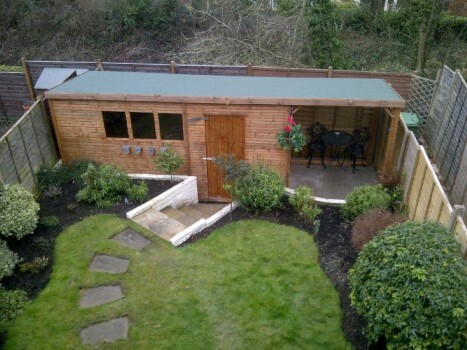 Select Security to help reduce the chance of unauthorised access to your shed. Bolts are used instead of screws on the hinges & lock, along with a bolted, heavy duty cast iron Hasp & Staple lock (as shown here). The door and surround is braced with more framework. Choose the optional security windows for complete peace of mind. Windows Your current Windows' style, pane & fixing. Make changes where required. Specify no window for complete security or design preference. Security window type. Ideal to prevent unauthorized access and reduce visibility. 508(w) x 127(h) mm (20"x5" approx). Fixed, Perspex only. Safety Perspex window pane. A transparent acrylic sheet. Glass window pane. Fixed only. Doors Your current Doors' style & hinges. Make changes where required. 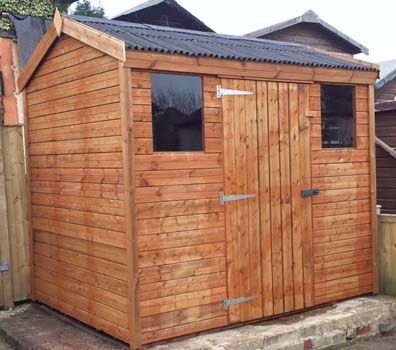 Have Double doors (4 Foot wide) (5 foot 11 high as standard – more height will be given depending on height of shed). 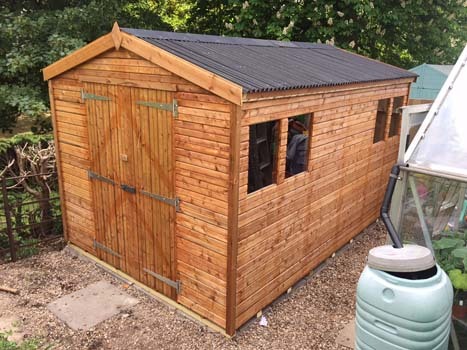 Have Extra Wide Double doors (5 Foot wide) (5 foot 11 high as standard – more height will be given depending on height of shed). 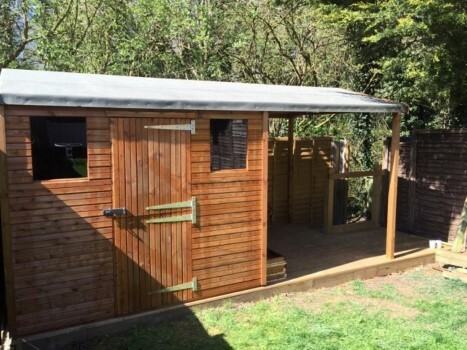 Have a Stable door (2 Foot 5 wide) where the door is split horizontally in two (5 foot 11 high as standard – more height will be given depending on height of shed). 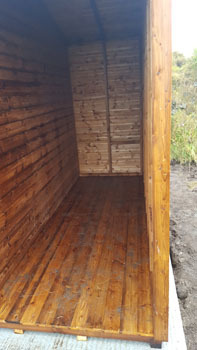 Standard size door (2 Foot 5 wide) (5 foot 11 high as standard – more height will be given depending on height of shed). 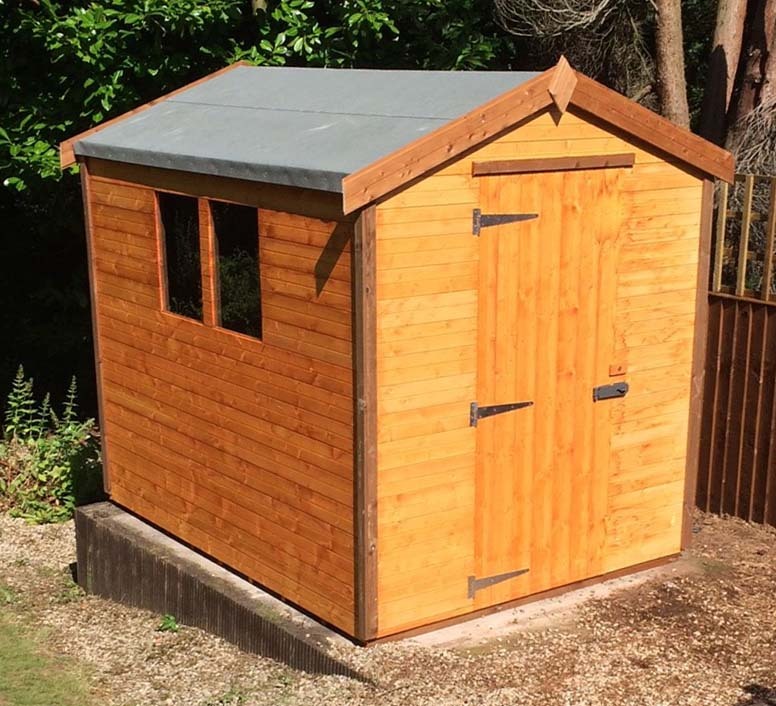 Have a 2 Foot 10 wide door (5 foot 11 high as standard – more height will be given depending on height of shed). Hinge your Door on the Left, so hinges are on left side of door as you look at it from the front. Hinge your Door on the Right, so hinges are on right side of door as you look at it from the front. 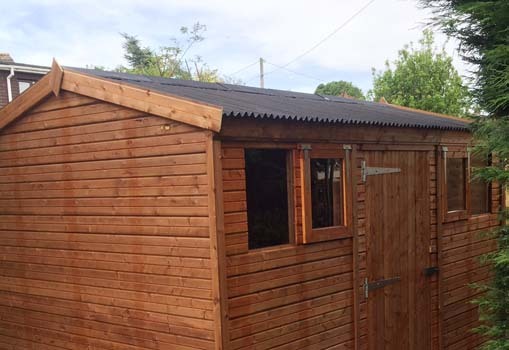 Overhangs & Extensions Extend your shed to the side or front with an overhang. 40kg Heavy-duty cross threaded green mineral felt. 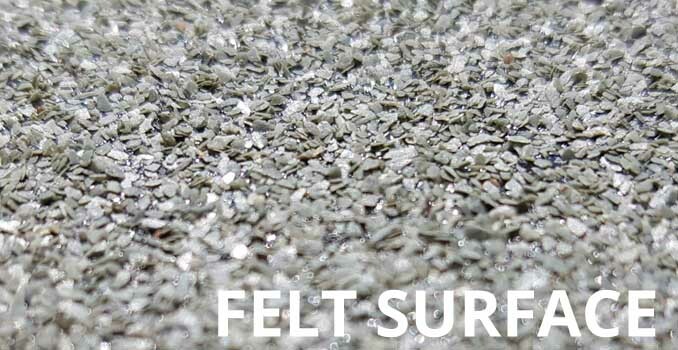 Much harder to tear than cheaper felts. 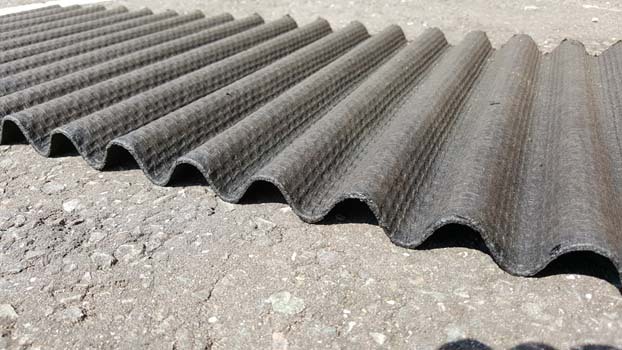 Onduline is made from cellulose fibres that have been impregnated with bitumen. 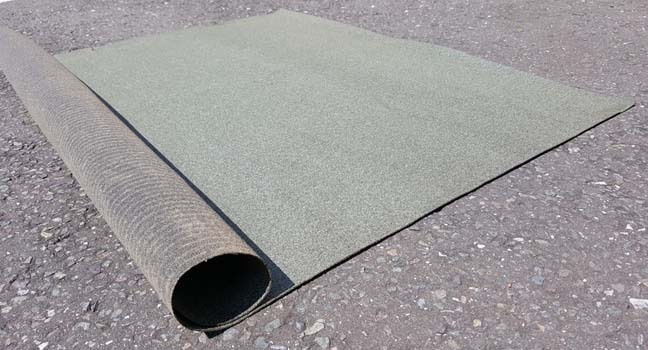 This mixture is then compressed into a board that is 3mm thick and 50mm corrugations. 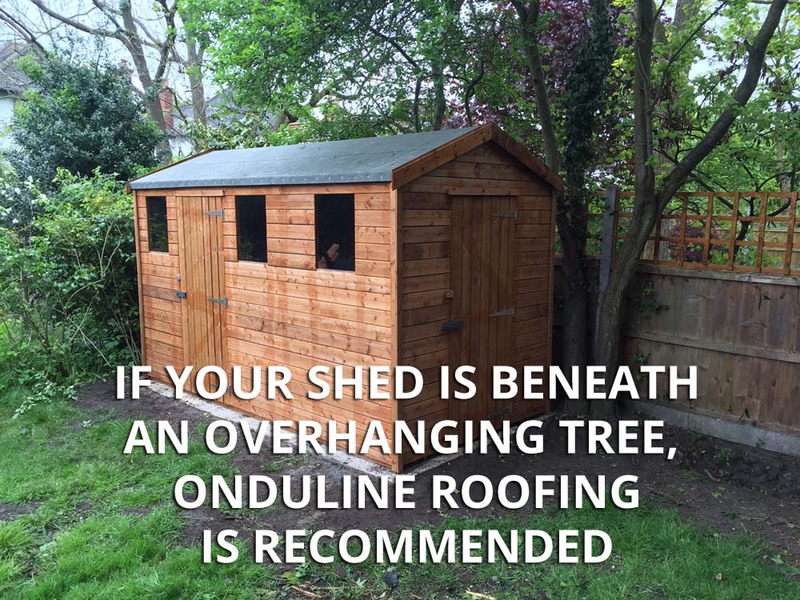 Onduline roofing sheets were first developed about 60 years ago, so it is well tried and tested. 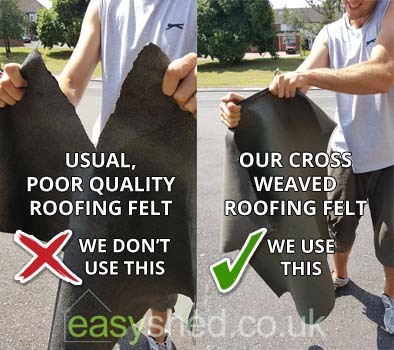 The manufacturers are so confident of its quality that they have a 10 year guaranteed to remain weatherproof under normal usage. 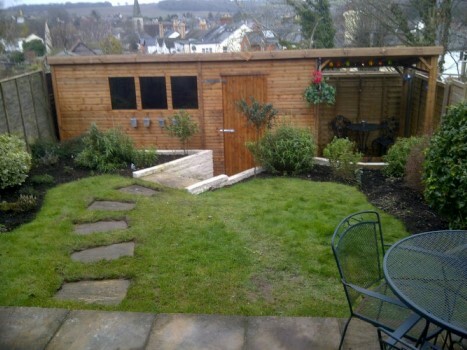 Raise the shed up from ground by an extra 2 inches with rot-resistant Tanalised Bearers. Add more boards to raise the shed roof. Each board will add 4 inches (101mm) to height. 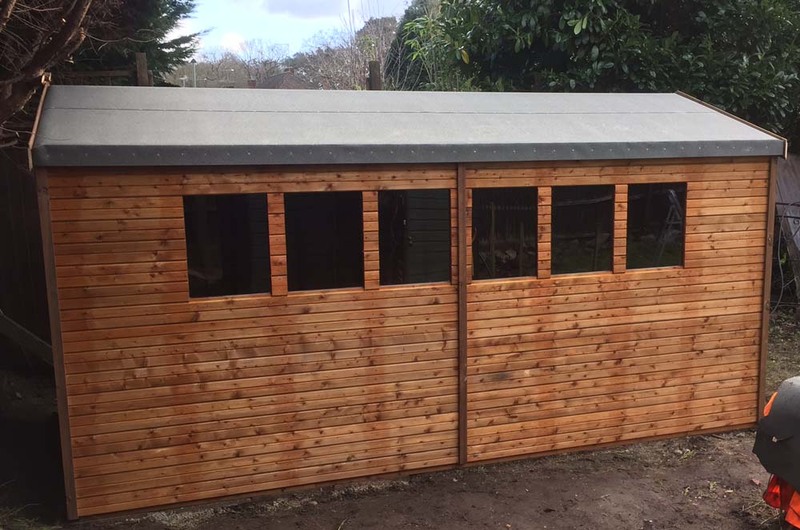 Split your shed with a wooden wall partition (specify details on checkout). Note, you will need an Extra Door (please add). 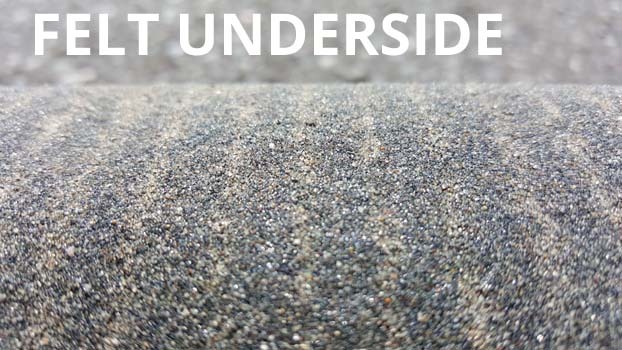 Tanalised rot-resistant Floor Runners - what the flooring's nailed to. 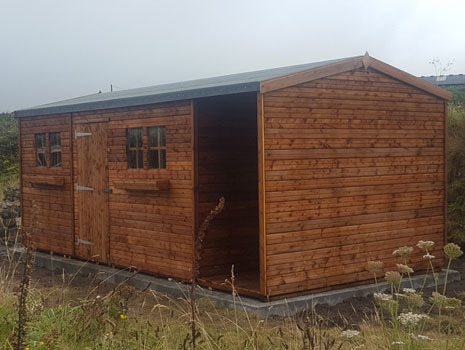 All our sheds come with the required number, but Add more if you need to increase the floor strength when storing exceptionally heavy items. 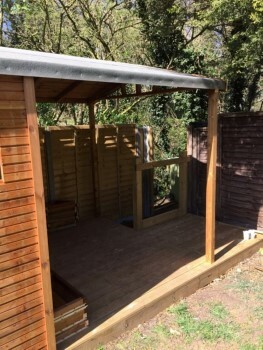 Add sturdy Shelves that can run length or width of shed. includes VAT + Free Delivery* + Free Fitting! 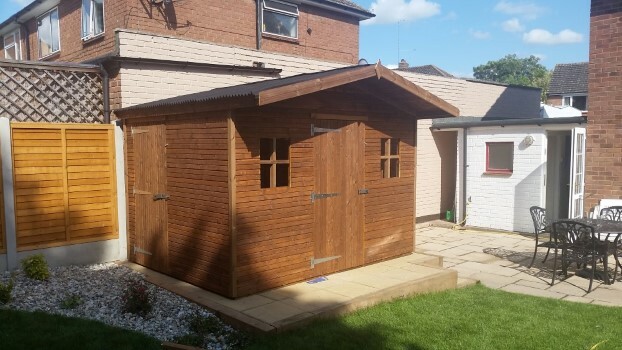 Beast Sheds - Sheds for the garden with Free Fitting and Delivery!